It was over 80 years ago when, Karl Knauz the father of the current chairman, Bill Knauz, created the dealership that would bear his name for generations to come. Karl Knauz after years of being a chauffeur opened a gas station in Lake Forest. Did he imagine that this modest beginning would come to be one of the most recognized dealerships in the country? Land Rover Lake Bluff is located in the 30+ acre Knauz Autopark situated at Routes 41 & 176. Our particular dealership has been serving the greater Chicago area and Lake County areas such as Lake Forest, Lake Bluff, North Chicago, Zion, Gurnee, Wadsworth, Waukegan, Hawthorn Woods, Inverness, Lake Zurich, Woodstock, Vernon Hills, Libertyville, Green Oaks, Round Lake Communities, Lindenhurst, Lake Villa, Skokie, Park Ridge, Deerfield, Winnetka, Wilmette, Kenilworth, Glencoe, Evanston, Glenview, Northbrook, Northfield, Lincolnwood, Arlington Heights, Buffalo Grove, Wheeling, Long Grove, Highland Park, Mundelein, Schaumburg, Barrington, Lake Zurich, Bannockburn, Lincolnshire and all of Chicago's North Shore since the 1960's. With many customer's coming from the southern Wisconsin communities of Kenosha, Racine, Pleasant Prarie, Twin Lakes, and Lake Geneva. 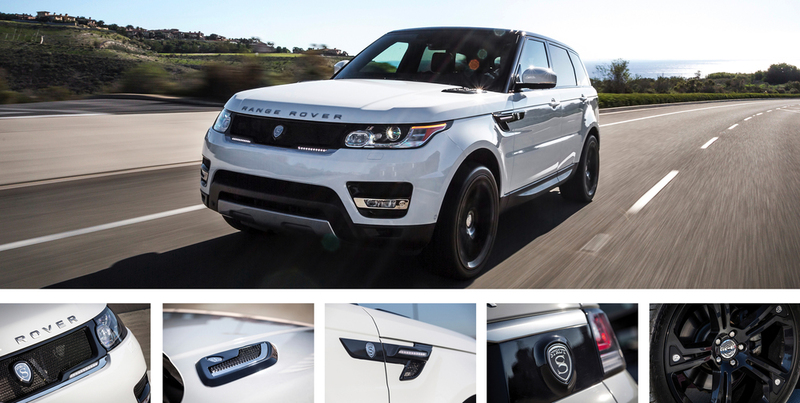 Land Rover Lake Bluff features a STRUT Range Rover Sport demonstrator vehicle on its showroom floor and offers the "STRUT VIP Service" to personalize each vehicle to suit the client's needs. Please fill in your details below and we will personally valet a VIP appointment with Land Rover Lake Bluff to discuss your bespoke STRUT Range Rover or Range Rover Sport Collection.